The fuss about it downplaying food allergies is VERY REAL. Click to access the “New York Post” coverage. Google for more. 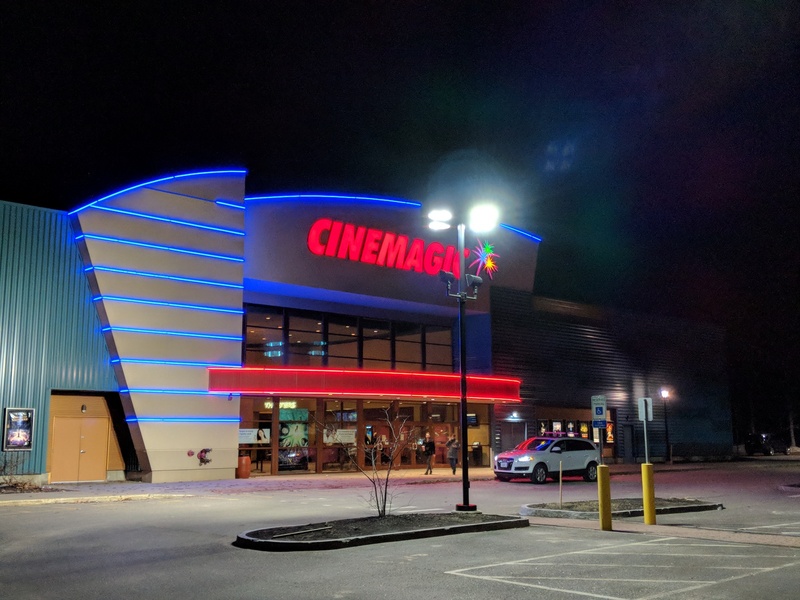 Went to see it, on Valentine’s Day, with both kids (who had early release from school), in Portsmouth (NH) at Cinemagic. We more or less had the whole large studio to ourseleves — just 5 others for this 4:30pm matinee. We are not complaining. It was nice to have all that space sans any distractions. Fun movie. Very funny. Beautifully rendered — particularly the Lakes District and Harrods; I rather familiar with both. I have visited Beatrix Potter’s house in the Lakes Region — and had a Harrods account for many, many year; it one of my favorite stores. The detail was exquisite. Lot to like, and pukkah entertainment, by and large, albeit with some blemishes. Domhnall Gleeson looking too much like Jared Kushner for my liking and comfort. Yes, it does trivialize and even make fun of food allergies. That is not good (though I am one who does feel that ‘we’ have gone slightly too overboard on the whole thing). What was Sony thinking? Don’t they have any lawyers? The rabbits are well rendered as LONG as their faces are NOT being shown in closeup. Then their eyes look like those of aliens and all the contours look wrong — in my opinion. Now, this is something that those who know me will find surprising coming from my fingers in that I am not that kind of man. But, Rose Byrne who plays ‘Bea’ is very pretty BUT I have a better ‘chest’ than she has! Wow. She looks 2 dimensional, NOT that that detracted any way from her performance and presence. Just happened to notice. Other than all this, it was good fun. Enjoyed. Will probably watch it again when it is on ‘TV’.